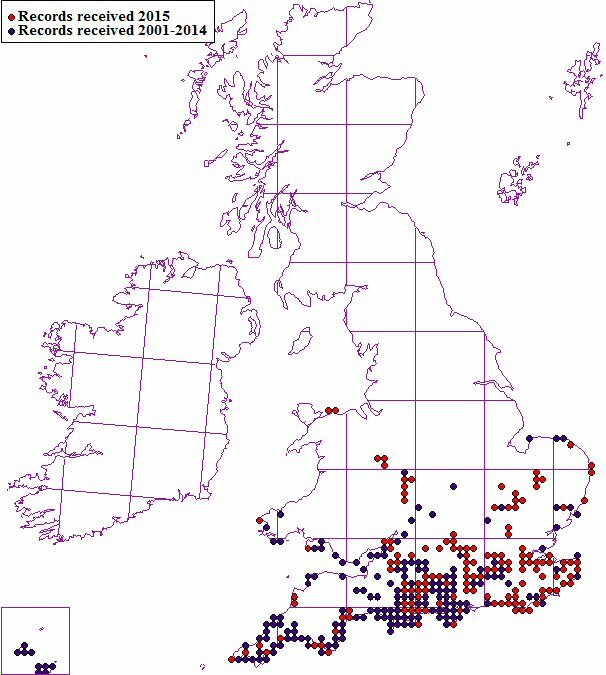 BWARS is continuing its long-term mapping project in which we are plotting and monitoring the spread of Colletes hederae in Britain. 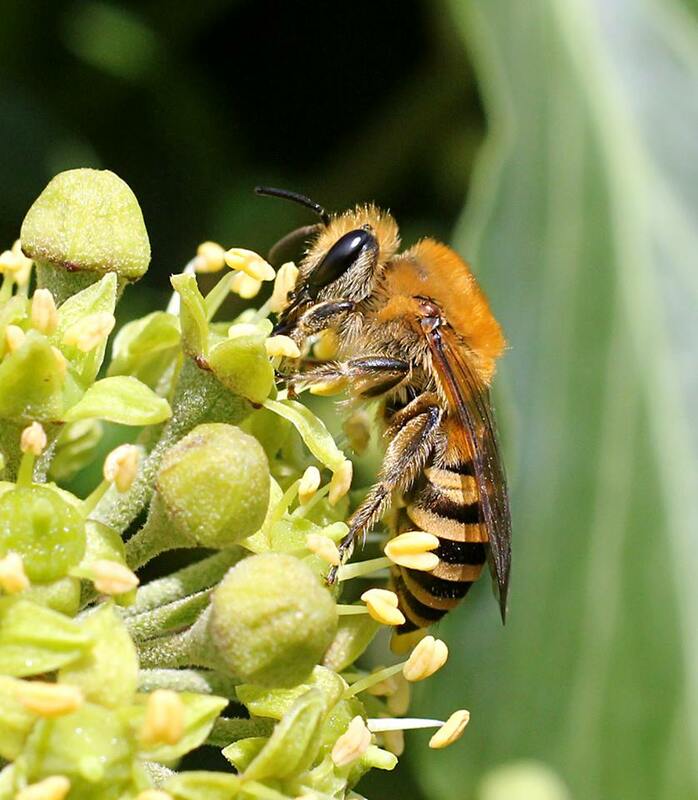 If you have any records of this large, and distinctive late-flying solitary bee, please submit the full details via this online recording platform. There is a facility for uploading photographs to support records if you have them. Please include any information on numbers, sexes, flower visitation, nesting sites and behaviour in the "Comments" section.